About: SBI is the biggest and oldest banking and financial services organization in India with an asset base of over Rs. 33,00,000 Crores. SBI stands for State Bank Of India. SBI conducts its own recruitment exam for various post and SBI Clerk is one among them. In 2019 SBI is recruiting Junior Associates and Agricultural Associates under SBI Clerk Recruitment 2019 . Conducting Authority: SBI is the conducting authority for SBI Clerk Recruitment 2019 for Junior Associates and Agricultural Associates. SBI decides the exam pattern and it is a national level examination. Expected Dates: The application form for Junior Associates and Agricultural Associates post will be available at the official website (https://www.sbi.co.in/careers) from 12th April 2019 to 3rd May 2019 and the preliminary phase of SBI Clerk exam date is expected to be conducted in June 2019. 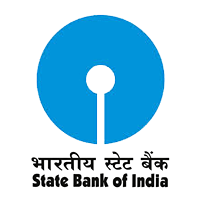 Preliminary Exam: SBI Junior Associate 2019 Preliminary exam consists of MCQ type questions. Subjects include English Language, Numerical Ability, Reasoning Ability. Group Discussion & Interview: Candidates who will successfully qualify the Preliminary Examination & Main Examination will be called for group discussion or interview round. Total Vacancies: The vacancies for the post of SBI Jounir Associates is 11,263 for all the states of India. 11765 - 655/3 - 13730 - 815/3 - 16175-980/4 - 20095 - 1145/7 - 28110 - 2120/1 - 30230 - 1310/1 - 31450. The date for the availability of SBI Clerk Exam 2019 Application Form for Junior Associate is 12th April 2019. The Preliminary Exam will be conducted expectedly in the month of June 2019. The SBI Clerk 2019 Main Exam is expected to take place on 10th August 2019. For more information, the candidates can refer to the SBI Clerk 2019 Important Dates. The candidates should possess a Graduation degree from any recognized University to be eligible for appearing into the SBI Clerk associate exam. The candidate's age should be in between 20 to 28 years. For more information, kindly go to the SBI Clerk 2019 Eligibility section. The Application process of Sbi Clerk 2019 will start on 12th April 2019 and conclude on 3rd May 2019. The SBI Clerk 2019 Application form can be filled by the candidates on the official website i.e sbi.co.in. For more information, the candidates can check the SBI Clerk 2019 Application Process section. The SBI Clerk 2019 Admit Card will be generated on 3rd week of May. The date is tentative. The Sbi Clerk Admit Card will released before 15-20 days earlier than the SBI Clerk Preliminary Exam. The candidate has to carry the Admit Card with him/ her at the time and venue of the examination. For more information, please feel free to check the SBI Clerk 2019 Admit Card section. The SBI Clerk 2019 Exam will be conducted in two phases. The Phase I will be a Preliminary Exam and the Phase II will be a Main Exam. The Preliminary Exam will have 3 sections that are: Numerical Ability, English Language and Reasoning Ability. The Main Exam will have an advanced difficulty which will have 4 sections namely English Language, Quantitative Aptitude, Reasoning Ability & Computer Aptitude and General/ Financial Awareness. For more details, please go to the SBI Clerk 2019 Exam Pattern section. The SBI Clerk Exam Centres are established around 34 states and cities across the country. The candidates have a privilege fill the preference in the SBI Clerk 2019 Application Form. They can choose up to 3 choices of the test centres but allotted only any one of them. Any request for the change of the Examination venue will not be entertained. For more information, please visit the SBI Clerk 2019 Exam Centres section. The candidates can find SBI Clerk 2019 syllabus on the official website. The syllabus of the SBI Clerk Exam consists of Logical Reasoning, Numerical Ability, English language and General Awareness (past 6 months current affairs). For detailed syllabus, you are free to see the SBI Clerk 2019 Syllabus section. The SBI Clerk Result 2019 for Junior Associate post will be released after the Main Examination. The date for result is not yet announced. Candidate have to keep in touch get update about result. The SBI Clerk results will be declared by the Central Recruitment and Promotion Department of SBI, Mumbai. The Proficiency test will be taken after the provisional selection of the candidates. For more information, please check the SBI Clerk 2019 Results section. Q: What is the age limit to apply for SBI clerk posts? Candidates in the age group of 20-28 can apply for the exam. Q: What is the exam pattern for prelims? Duration of the exam is one hour and consists of three sections on English, Numerical Ability and Reasoning Ability. There will be a total of 100 questions (English-30, Numerical Ability-35, Reasoning Ability-35) and the exam difficulty will be moderate. Q: What is the exam pattern for the mains exam? Q: Is there any negative marking in SBI clerk 2019? Yes, 0.25 marks will be deducted for every incorrect answer. Q: What is the required educational qualification? Junior Associates: candidates must have a Graduate degree in any discipline from a recognized University or any equivalent qualification. The candidates who are in the final semester/ year of Graduation can also apply for SBI Clerk Exam 2019. Q: Will there be an interview after the mains exam? Application fee should be paid in online mode using Debit Card/Credit Card/Internet Banking/Cash Cards/Wallets, etc. Q: I am from Andhra Pradesh, can I apply for Karnataka state? Yes, if you are proficient in the local language (Written and Spoken) you can apply.